In circumstances among children who die in traffic accidents, at least 30% involve children under the age of 15 who are pedestrians. Pedestrians account for about 30% of all traffic fatalities involving children under the age of 15 years. NHTSA estimates that more than 22% of children between the ages of 5 and 9 who were killed in motor vehicle accidents were pedestrians. Roughly 19% of children involved in traffic fatalities under age 16 were pedestrians. And approximately 8% of all children under age 16 injured in a car accident were pedestrians. Forty-five percent of all pedestrian accidents involving children under age 16 were killed between 3:00 p.m. and 7:00 p.m. In Washington State alone, of the total number of children who die every year in auto accidents, between 10 and 15 are pedestrians. Research have shown that by age 3, boys outnumber girls in pedestrian nonfatal injuries and in pedestrian fatality accidents by a margin of almost 2 to 1. Many of the injuries to toddlers and preschoolers are considered “non-traffic,” namely, these accidents mostly occur in places like driveways and parking lots instead of public roadways or thoroughfares. Near half of all pedestrian accidents affecting children age 1 to 4 occur when a vehicle is backing up in the driveway. According to a national advocacy organization, Kids and Cars, roughly 50 children are injured or killed every week as a result of a vehicle backing up. The number of back-over deaths has actually boosted in recent years. From 2002 through 2006, there were 474 children who died, compared with 128th deaths reported during the period from 1997 to 2001. Research has shown that children in this age range are typically too young to understand the hazards posed by a moving vehicle. How Can We Make a Lasting Change? To combat the ascending death toll of children in back-over accidents, Congress recently introduced the Cameron Gulbransen Act. The act was named for a 2 year old who was killed when he was inadvertently backed-over by a SUV because the automobile’s blind spot made it virtually not possible for the driver to see him. The act directs the United States Department of Transportation to adopt new safety standards that will lead to the design and development of safety technologies to put a stop to injury and death to children caused by back-over accidents and will result in safeguards that will become standard equipment in all vehicles. The risks for school-age children of getting hit by a moving automobile are different from those for toddlers, Children under the age of 10 still need supervision when crossing the street, Oftentimes a school-age child will forget about vehicles traveling in the street and dart out suddenly and without warning. 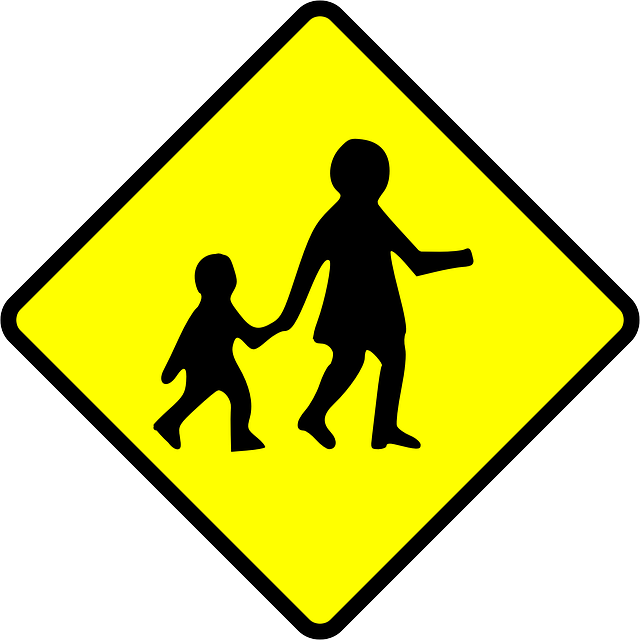 Many pedestrian accidents involving school-age children (6 t 11) occur in the morning and afternoon, and at times when children are typically at play. The fiscal consequences of a child pedestrian accident can be significant as well. In 1999, the average hospital stay for a pedestrian accident was two days and the cost was more than $25,000. These figures were gathered from statistics nearly 10 years ago; undoubtedly, the average hospital medical charge for a typical pedestrian accident is much higher today. Nearly one-third (32%) of the accidents involved injuries to the lower legs, most often fractures (87%). About 25% of pedestrian nonfatal accidents involved hospitalization for traumatic brain injury (TBI). A lot of child pedestrian accidents are preventable. Parents need to be educated about the developmental limitations of their children in understanding the dangers of a moving vehicle. Parents can also teach younger children about the dangers of playing near the roadway or when it is appropriate to cross the street. There are also ways to minimize danger by creating safer roads and street crossings, especially near schools, playgrounds, and other areas where children congregate. And finally, law enforcement can play a pivotal role by diligently implementing traffic laws in areas where children are active and by making drivers aware of pedestrian crossings.